(c)a person to whom regulation 29AA applies. (c)a medical examination is not be carried out under paragraph 2 or paragraph 7 as a matter of routine and may only be carried out within three months of a person’s arrival in the United Kingdom. (3) For so long as a person to whom this regulation applies is detained, or temporarily admitted or released while liable to detention, under the powers conferred by Schedule 2 to the 1971 Act, he is deemed not to have been admitted to the United Kingdom. (b)in accordance with regulation 19(1) , (1A), (1AB) or (2). (2) A person to whom this regulation applies, is to be treated as if he were a person refused leave to enter under the 1971 Act for the purpose of paragraphs 8, 10, 10A, 11, 16 to 19 and 21 to 24 of Schedule 2 to the 1971 Act, except that the reference in paragraph 19 to a certificate of entitlement, entry clearance or work permit is to be read as a reference to an EEA family permit, residence card, derivative residence card, a qualifying EEA State residence card, or a permanent residence card or a permanent residence card. (1)If there are reasonable grounds for suspecting that a person is someone who may be removed from the United Kingdom under regulation 19(3)(b), that person may be detained under the authority of the Secretary of State pending a decision whether or not to remove the person under that regulation, and paragraphs 17 and 18 of Schedule 2 to the 1971 Act(5) shall apply in relation to the detention of such a person as those paragraphs apply in relation to a person who may be detained under paragraph 16 of that Schedule. (2) Where a decision is taken to remove a person under regulation 19(3)(a)or (c), the person is to be treated as if he were a person to whom section 10(1)(a) of the 1999 Act applied, and section 10 of that Act (removal of certain persons unlawfully in the United Kingdom) is to apply accordingly. (3) Where a decision is taken to remove a person under regulation 19(3)(b), the person is to be treated as if he were a person to whom section 3(5)(a) of the 1971 Act (liability to deportation) applied, and section 5 of that Act (procedure for deportation) and Schedule 3 to that Act (supplementary provision as to deportation) are to apply accordingly. 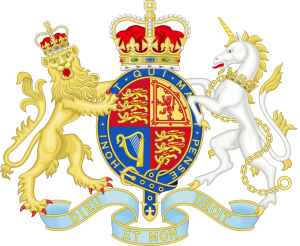 (4) A person who enters the United Kingdom in breach of a deportation or exclusion order shall be removable as an illegal entrant under Schedule 2 to the 1971 Act and the provisions of that Schedule shall apply accordingly . (5) Where such a deportation order is made against a person but he is not removed under the order during the two year period beginning on the date on which the order is made, the Secretary of State shall only take action to remove the person under the order after the end of that period if, having assessed whether there has been any material change in circumstances since the deportation order was made, he considers that the removal continues to be justified on the grounds of public policy, public security or public health. (c)where a person is a person to whom regulation 24(4) applies. (b)is a person who would have had a derivative right of residence but for the effect of a decision to remove under regulation 19(3)(b). (2) The Secretary of State may only give directions for P’s removal if the Secretary of State certifies that, despite the appeals process not having been begun or not having been finally determined, removal of P to the country or territory to which P is proposed to be removed, pending the outcome of P’s appeal, would not be unlawful under section 6 of the Human Rights Act 1998(2) (public authority not to act contrary to Human Rights Convention). (5) In this regulation, “finally determined” has the same meaning as in Part 6. 24A. (1) A deportation or exclusion order shall remain in force unless it is revoked by the Secretary of State under this regulation. (2) A person who is subject to a deportation or exclusion order may apply to the Secretary of State to have it revoked if the person considers that there has been a material change in the circumstances that justified the making of the order. (3) An application under paragraph (2) shall set out the material change in circumstances relied upon by the applicant and may only be made whilst the applicant is outside the United Kingdom. (4) On receipt of an application under paragraph (2), the Secretary of State shall revoke the order if the Secretary of State considers that the criteria for making such an order are no longer satisfied. (5) The Secretary of State shall take a decision on an application under paragraph (2) no later than six months after the date on which the application is received.